Have you ever thought that how your customers get attached to any company? Even though they don’t meet up daily or can say never. It is only through their content. 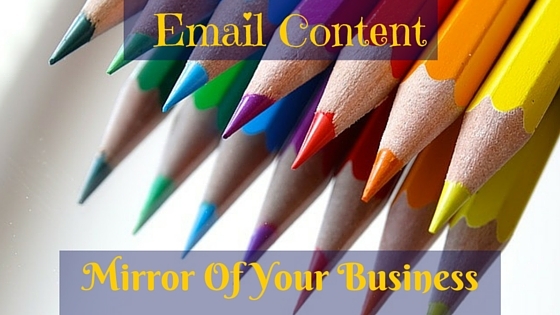 Your content acts as a mirror of your company. Through your content, your emails get read by audience, and it’s only the content which make a relationship between you and your customer. Then why we just put a content without thinking once that what your customers want from you? And how could we know that what they actually want? When you understand your customer, you can sell more product, can grow your email list more quickly and can get connected with them in an immersed level. But how? How a person can understand someone ? The answer is by reading their mind. Have you ever read something and felt that the person who wrote this is trying to read your mind? The language they are speaking is yours and it felt like they almost knew what you were thinking. And no doubt they did. They probably researched to know that what their focused customers was thinking. Now, you must be thinking that what’s the secret sauce. How you can being a business owner can read the mind of your target customers and can build your email as well as your customer list? I can guide you five free marketing research tools through which you can create content which can delight your customers and can help you in reading their real thought. Reddit isn’t called the front page of internet for nothing. It’s the best among the free marketing tools. Reddit achieves 200 million unique visitors each month with over more than 200 countries, which means that your targeted customers spend a lot of time over here. Reddit is completely free and and have a community subreddit where a group of people can discuss regarding common topics. Reddit is a very good opportunity for marketers. What you have to do is to visit Reddit and then to find your audience. You have to type the keyword in the subreddit search tool to find out the conversation regarding your topic. 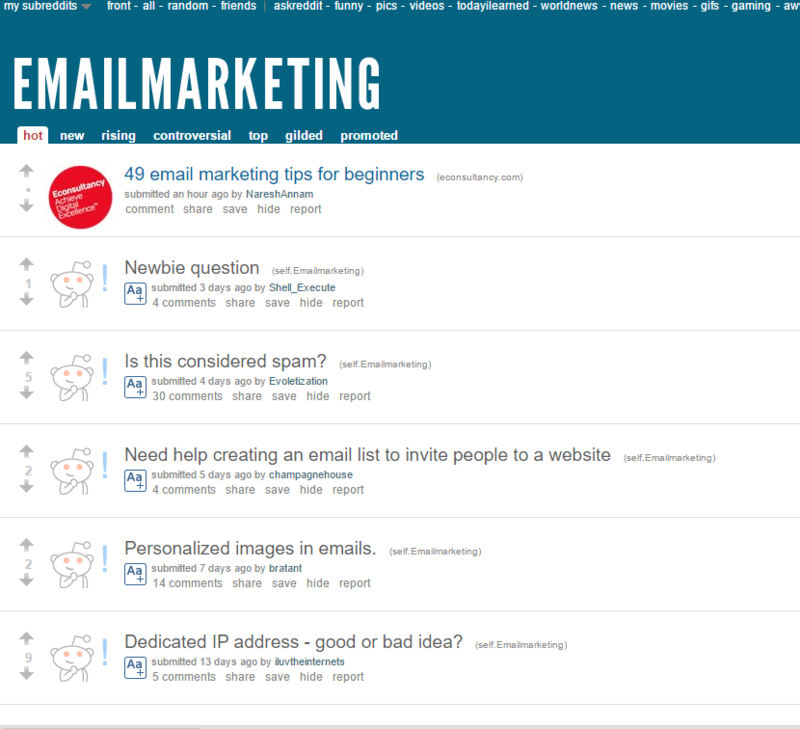 For example, if you have an email marketing business, you may type email marketing to find the subreddits related to this topic. Then start going through the top results in the subreddit. You can judge the popularity by checking the upvotes, present between the two arrows at the left hand side. With the data available over the top post you can create content which can satisfy your customers by directly focusing the common issues of customers which are discussed in the posts. Reddit is the magic stick for any content marketer. The content of your email is the most important part for your email and your Business as well. What if your customer themselves speaks about their issues. Yes, it can be done. The best way to create an effective content to help your customers facing the issue is to discover what are the questions they have for your topic. 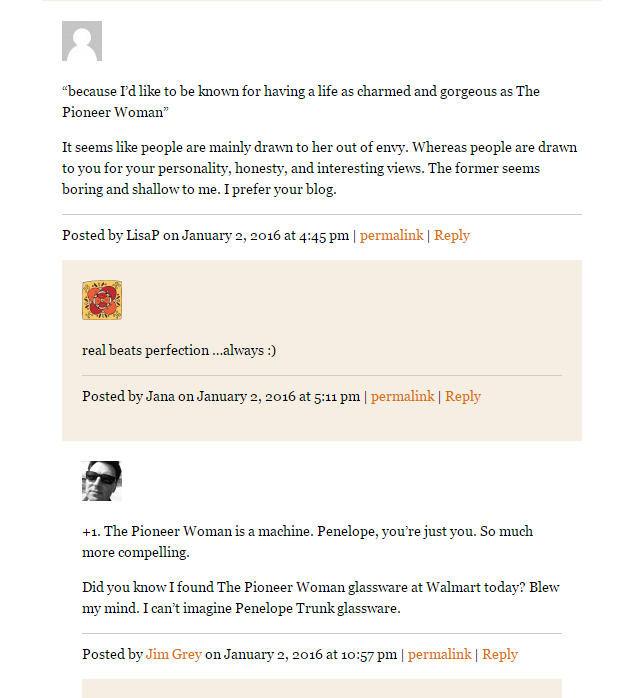 That’s what makes Quora such a great marketing tool where your audience just to come to get answered for their queries. You can think Quora as a sophisticated yahoo Answers!!. People ask questions and some knowledgeable person answers them. Use search tool on Quora to search about your services. Let’s say you have to search for Mobile Marketing, You might enter “Mobile Marketing” over search bar. Then you will find the questions asked, upvoted, asked again and again and shared regarding to the same topic by audience. You can take exact words of askers to create content. This will make your audience feel that you can read their mind – because you did. 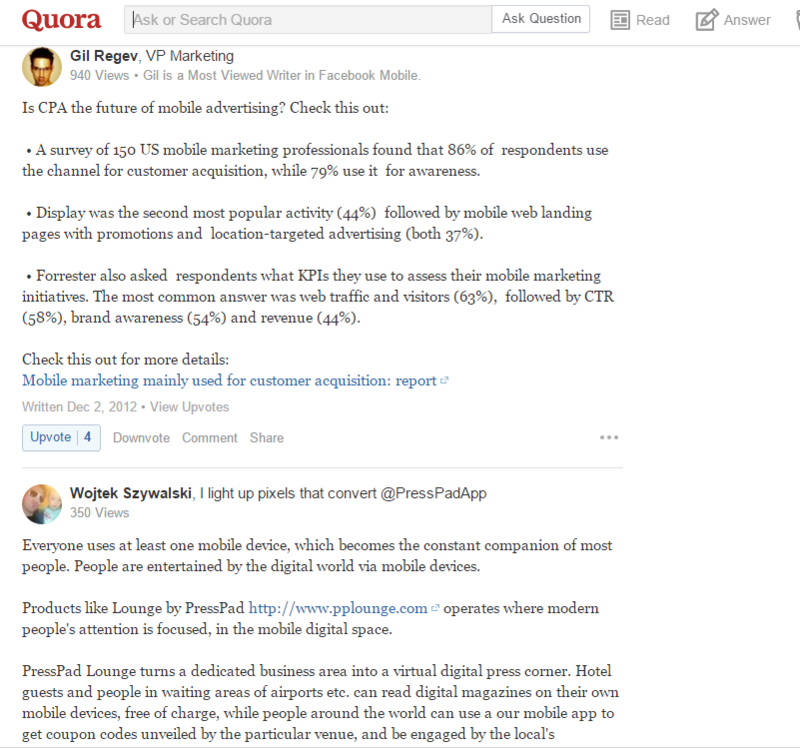 Quora also provides you the related type questions on the right hand side. Using those questions you can directly catch the painful nerves of your customer and can create a content which not only attract your customers but also will be beneficial for them. The list of best market research tools would be incomplete without the world’s biggest retailer: Amazon. You must be thinking that in a buy sell website how can you grab content. Let me explain you, Amazon is the best way to read the mind of your targeted audience, because Amazon keeps on reviewing their purchases and providing feedback. 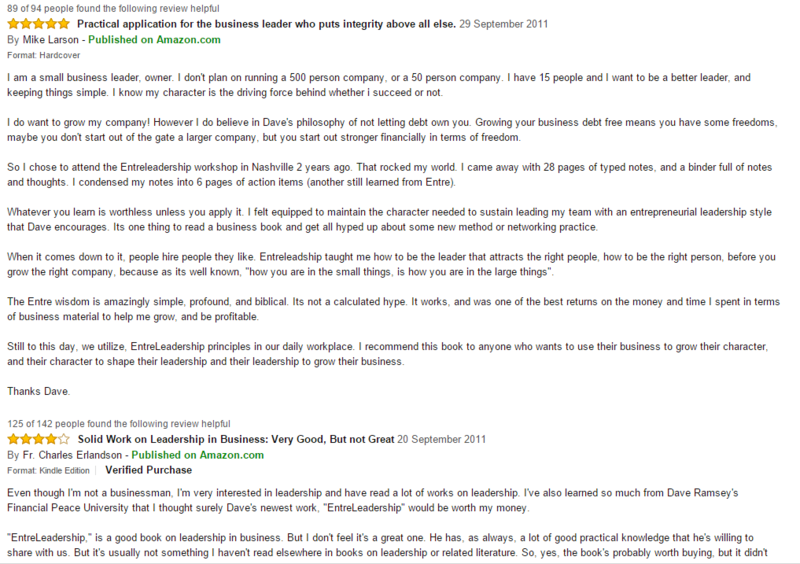 Suppose you have Finance industry, you might search for the book “Total Money Makeover” by Dave Ramsey. Then sort by Avg. Customer Review. The reviews provided by the customers can be detailed enough for you to understand the customer, adopt his language, to know the gaps in the book and most important what the customer actually wants. If you serve this customer, how powerful it could be for your business to provide them a complete knowledge of business with step by step strategies and stick to financial goals. What is the thing which social marketers love to hate? Of Course, Facebook and it’s useless to argue that Facebook has reached the height that any other social media do. But only get stuck up with profiles and pages won’t benefit you. The real gold content can be found in the groups. Facebook group is the place where different people of a particular interest get combined up and discuss regarding a topic. You can create content by going through their conversation. 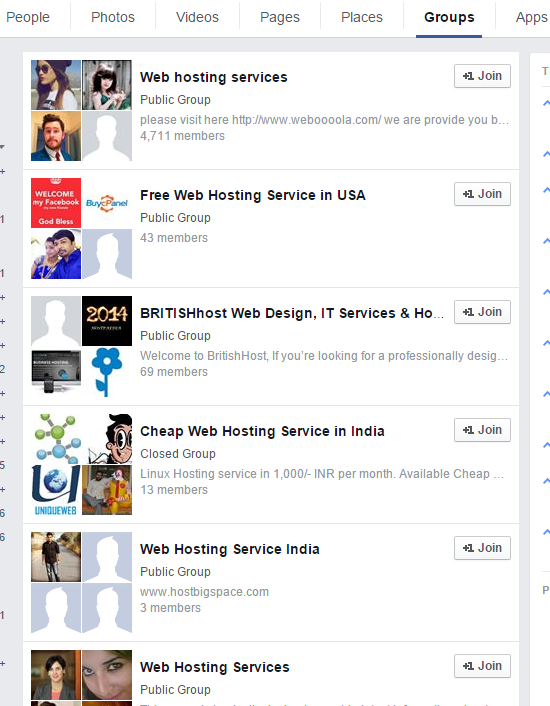 For example if you want to gather knowledge about Web Hosting Services get in connection with top most Web Hosting groups where you’ll find merely 10,000 people discussing about the major issues and even the gaps they feel. You can take note of their language and can create content in their own language to help your customers where they are. Have you ever tried to find a content that you needed and fail to find it and at that very moment it appears before you. How sighful moment that appears to be for you!! Your customers also feel the same pain when they don’t find the stuff they need and the best place to know the gap that your customer is feeling, to understand the ultimate desire of your customer blogs are the best way. If you’re not handy with blogs, you can use tools like Altop.com to read the famous blogs of your industry. If you are a career guider, you can check any of the blogs related to career, I would suggest you to go with a popular one so that you can find more feedback from customer’s side. Go through the comment and check the trend of question that people are asking. You can then better provide the content to your customer directly focusing in the gaps they feel. As you dig with these tools day by day your content your sales and your company will start growing. They even give you future ideas of the gaps, can guide you exact challenges and desire of a customer. And all this without paying any cost and merely investing more than a hour a day. Content is the life of your business. Go through the actual pain of your customers and then write to them this will let them feel that you can read their mind. Indeed, we cannot appeal to our target audience if we don’t understand. Creating the right content in emails will make the process of conversion easier. The problem many marketers have with regards to gaining customers through email is that they don’t create contents that would meet the needs of the audience. However, I think many will find this piece valuable as it dealt with useful resources and examples of where to generate workable email marketing contents. Thanks for sharing this! Definitely, content is that part of the email which gives it real strength. Only a good content is the way to get your emails read. Adding the real needs of your customer in their own words will let them feel that there is someone who can read their mind and will create an ultimate personification. Thank you so much for stopping by and commenting on this blog. I am so glad that you found this piece useful. Have a great day ahead! !